While the Rose Valley Centennial Foundation continues to work with the Borough and other organizations to sustain the magic of Rose Valley, the restoration of Thunderbird Lodge is our signature project. In October 2015, The Rose Valley Centennial Foundation took ownership of Thunderbird Lodge. Will Price converted a 1790’s bank barn into studios for artists Alice Barber Stephens and her husband Charles Stephens, illustrator, photographer and expert on native Americans, then built a new home for them, connecting the two with a stone tower that houses a staircase. The shape of the fireplace and the Moravian tile inset in the stone facing Rose Valley Road earned Price’s masterpiece the name Thunderbird Lodge. RVCF undertook the immediate capital repairs required to the roof, gutters, plumbing and plaster. The Rose Valley Troop 272 of the Boy Scouts cleared massive amounts of bamboo, and Charles Cresson identified the specimen trees on the 2-acre property. 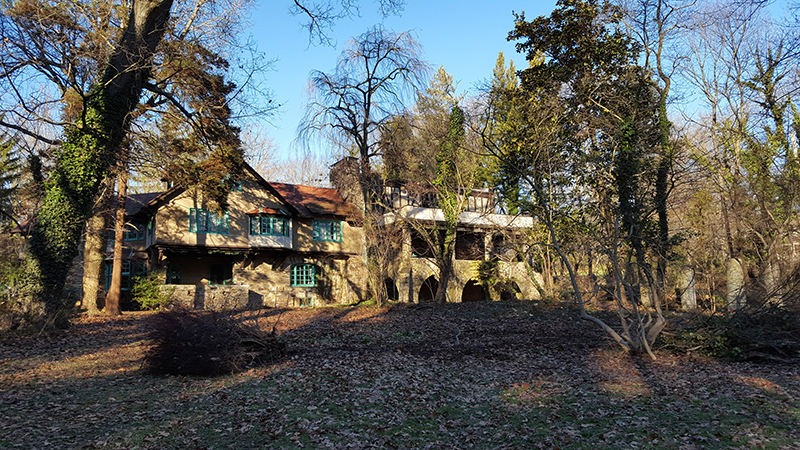 An anonymous donor provided the funds to … Caretakers agreed to live in the house portion of Thunderbird Lodge and will maintain the building and grounds for the foreseeable future. 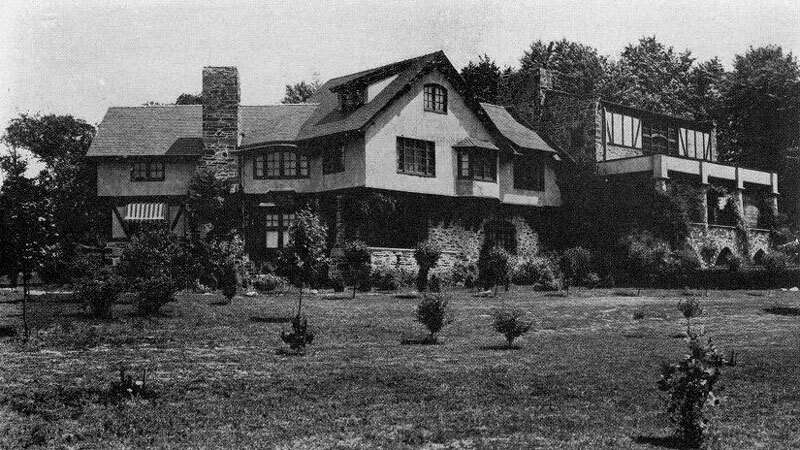 For two years, The Foundation board worked diligently on developing a viable long-term plan and budget to fund the necessary renovations and improvements Thunderbird Lodge would need to sustain its place on the National Historic Registry and remain a magnificent treasure emanating the magic of Rose Valley. While the possibilities for Thunderbird Lodge are endless, the monies needed to bring those plans to fruition are not. In the summer of 2017, the Foundation, in collaboration with the Rose Valley Museum and Historical Society, launched the silent phase of the Rose Valley Museum at Thunderbird Lodge Campaign. During which time, the building has been stabilized and improved to allow the studios to become the new home of the Rose Valley Museum and Historical Society. What was once hidden behind a stockade fence and a century of overgrowth has been unveiled as the hub of the Arts and Crafts movement in Rose Valley. Starting with the October 2015 Once in a Lifetime Tour, Thunderbird Lodge is attracting national attention. Treasures from the Will Price period have been retrieved from storage units to be preserved and displayed properly. Those treasures have been joined by generous gifts from Rose Valley residents and family members of former Rose Valley artisans. Today we continue to work on improvements to the compliance and conveniences at Thunderbird Lodge to support its use by the Rose Valley Museum and Historical Society and to preserve this wonderful building for perpetuity.